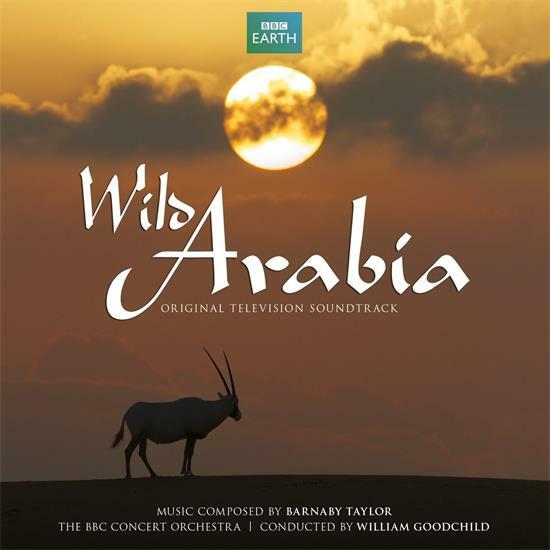 Barnaby Taylor's alluring score perfectly compliments a romantic journey into the very heart of a lost world one of virtually impenetrable wilderness, unimaginable landscapes, surprising wildlife bounty and the most startling juxtaposition of ancient and modern to be found anywhere on earth. The latest series from BBC Earth continues the incredible world nature tour following recent productions such as Frozen Planet and Africa. Recorded at Abbey Road with the highly esteemed BBC Concert Orchestra, Barnaby utilised the talents of the ensemble with a full string section, brass, solo woodwinds, harp, percussion and timpani. The result is sweeping melodies for wide desert landscapes offset with the intimacy of traditional instruments. The Emmy award winning film and TV composer has an extensive catalogue of screen music that includes Wild China, Ganges, Journey Of Life and Europe: A Natural History.